Sometimes the simplest organizers are the ones used the most. Ideal for home, office, school and crafting on the go. The bag measures 12" x 16" and has one compartment with a zipper closure. Keep like supplies together such as pens and markers, scrap paper, buttons and embellishments, die-cuts, stickers, ribbon, and more. 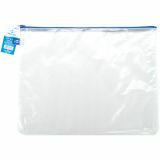 Mesh Storage Bag W/Zipper - Sometimes the simplest organizers are the ones used the most. 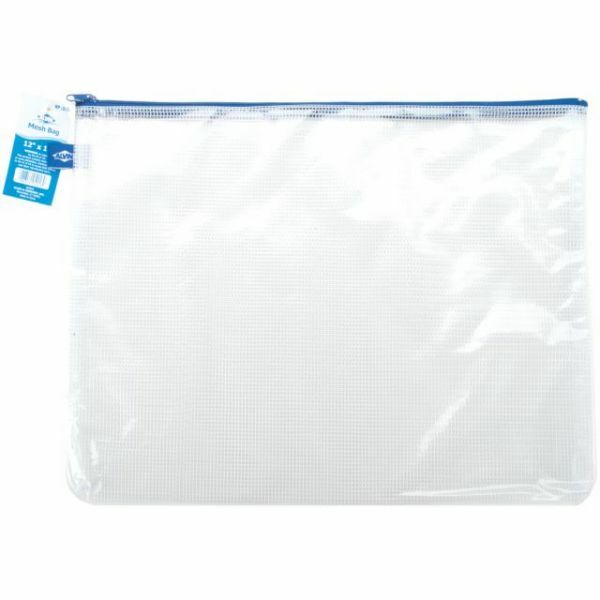 This clear plastic bag has a mesh-like textured surface which gives it extra durability. Ideal for home, office, school and crafting-- keep like supplies together such as pens & markers, buttons & embellishments, die-cuts, stickers, ribbons, toys and more. The bag measures 12x16 inches and has one compartment with a zipper closure. This package contains one bag. Imported.